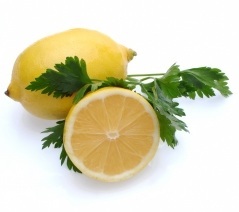 I adore a simple lemon and oil dressing on almost any kind of salad. Sometimes I want a little something with a kick, and this Spiced Lemon Salad Dressing fits the bill. I have yet to find a salad I do not enjoy it on! It is very easy to make, incredibly healthy, and kid-friendly in my home. Whisk lemon juice, yogurt, honey, cumin, cinnamon and ginger in a small bowl until blended. Slowly whisk in oil so that the dressing becomes smooth and emulsified. Season with salt and pepper. Jennifer blogs about conscious parenting practices, mindful living, holistic health and wellness, natural healing as well as Waldorf based parenting approaches at Hybrid Rasta Mama.